your stationery set rather than just being something to send it in. our different combinations! We will invoice you after receiving your order. White and Ivory standard unprinted envelopes have a diamond flap. 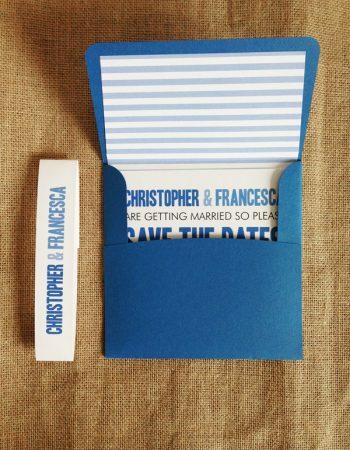 Coloured envelopes are available in all pocketfold colours in a selection of sizes and have a straight flat flap. 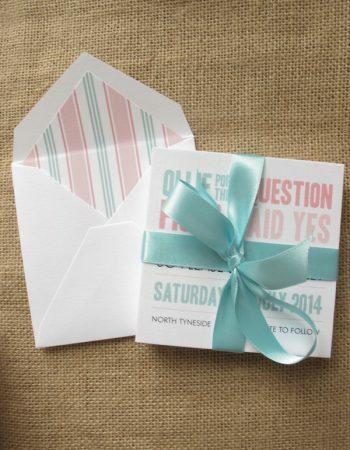 These are really quirky and perfect for darker envelopes. They are available in white or ivory to match your cards! You can have liners added to your envelopes. These are available for high quality envelopes and can be a plain colour, use your motif pattern or one of our complimentary patterns! These really are the perfect first impression for your guests. Head over to the patterns page to choose patterns to go on your envelope liners! Our higher end envelopes can be printed! 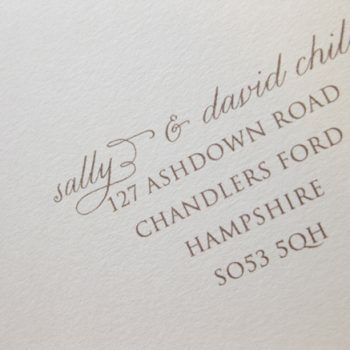 This adds a lovely continuity to your stationery, right from the moment they arrive on the doorstep of your guests. 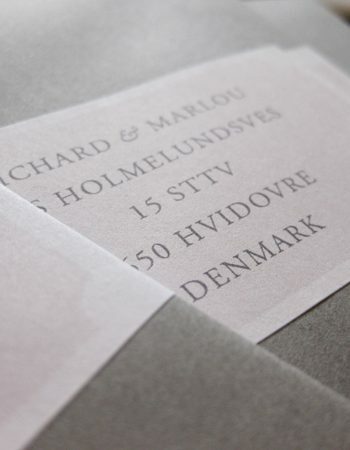 Printed envelopes are individually proofed and printed with your guests’ addresses. They are best on white, ivory or pale colours. 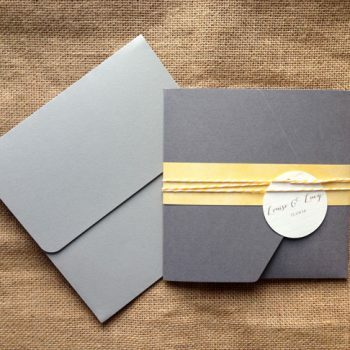 Use a wrap label to finish off darker coloured envelopes. 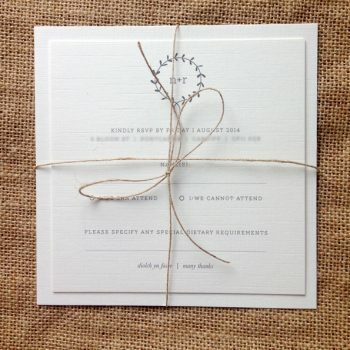 White and Ivory envelopes are available in hundreds of sizes. Coloured and high quality envelopes are available in sizes to match all of our invites in colours that exactly match our pockets backing cards and papers. We do not provide free samples of our envelopes since they are costly to produce but please feel to get in touch to purchase your perfect combination and see if it’s right for you!